Wassup family, here is a sneak peak of the progress of my newest piece. Its soon to come and hope you like it. This portrait, by the way, is when he was at his professional climax of course. 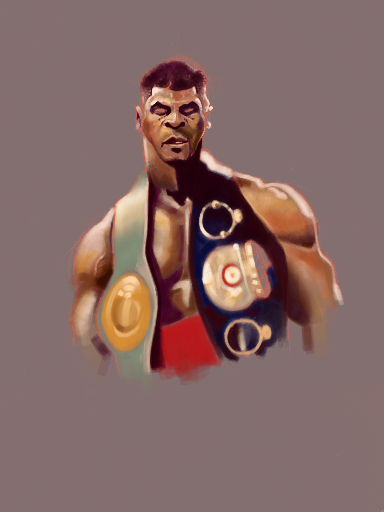 At 19, Tyson was the champ. Enjoy.